Begins 3/13 (Wednesdays) for five weeks (not meeting on 3/17 for Spring Break) at 6:30 pm. The wood. The thorns. The nails. Christ’s sacrifice has defined the very essence of mankin’s faith for the past 2000 years. 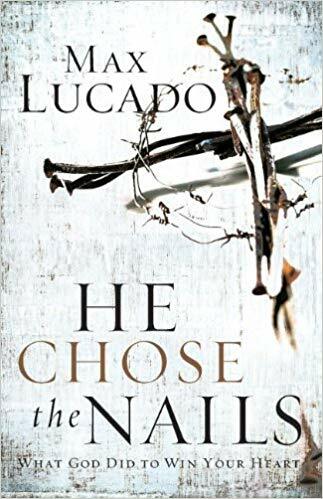 And now, Max Lucado invites you to examine the cross, contemplate its prupose, and celebrate its significance with He Chose the Nails. With his warm, caring style, Max examines the symbols surrounding Christ’s crucifixion, revealing the claims of the cross and asserting that, if they are true, then Christianity itself is true. The supporting evidence either makes the cross the single biggest hoax of all time, or the hope of all humanity. To register for the Lent Study, you can text the work LENT to 615-455-2332.